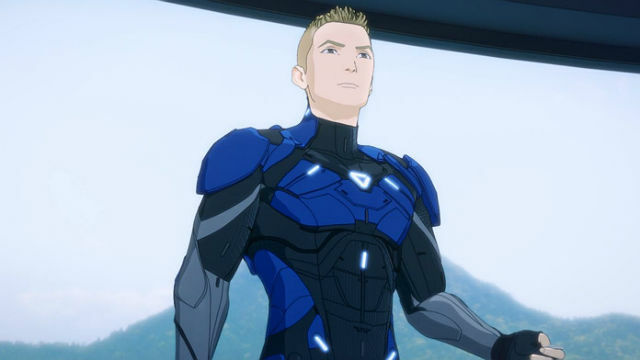 In the previous episode of Rooster Teeth’s gen:LOCK, Julian appeared before the Vanguard even though they thought he was dead. In gen:LOCK season 1 episode 2, we discovered how the mechs work and met other compatible characters. Dr. Weller explained to the Vanguard that they recovered Julian’s body after his crash during the Battle of New York. They’d previously identified him as a compatible candidate for the mechs, called Holons. It was a one in a million chance that someone was gen:LOCK compatible, and since Julian had piloting experience, he was a rare find and important to the program. While Julian appeared whole as a hologram, all that was left of him was the upper half of his body. He remained in a tank that kept him alive. Miguel went to see him, and Julian’s state shocked him. Weller explained to him that he would be maintaining the Holons. When Julian went to see Miranda, she confronted him about the past four years when she thought he was dead. He insisted that it took four years of work to get back to her. The Holons required a compatible nervous system since the mechs didn’t have physical bodies inside. They required a mind upload where the pilot controls it through digital telepathy. Yaz was the other successfully linked Holon pilot. Other compatible candidates arrived at the Anvil: Sinclair, Valentina Romanyszyn, Cammie MacCloud, and Kazu Iida. Upon arrival, a Vanguard soldier scanned them, and Weller insisted they suit up right away. If it didn’t work out with any of the candidates, they would be sent home. Col. Marin discovered a Union spy had infiltrated the Anvil. Vanguard soldiers pointed their guns at the group of candidates, and Yaz admitted to formerly being Union. However, they were there for Sinclair. He had nanotech with him that he used to attack the soldiers. He took Dr. Weller hostage. Sinclair wanted a Holon and insisted on being uploaded into one. To Col. Marin’s surprise, Dr. Weller agreed and had Caliban start the process. Unfortunately, since he wasn’t the real Sinclair, he wasn’t gen:LOCK compatible. The process killed him. 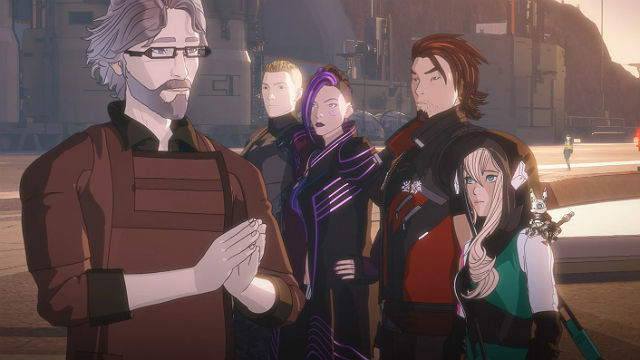 What did you think about gen:LOCK season 1 episode 2? Let us know in the comment section below! 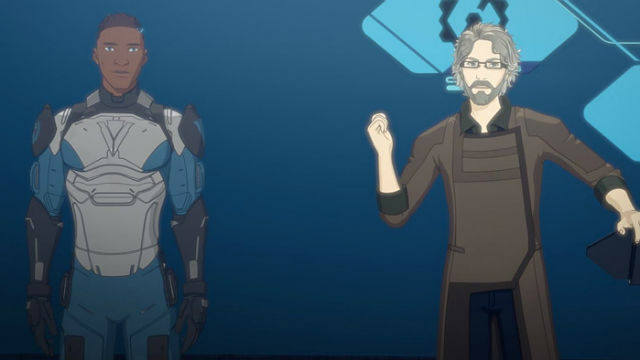 The post gen:LOCK Season 1 Episode 2 Recap appeared first on ComingSoon.net.